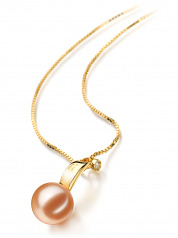 The delicate and graceful combination of the Pink Freshwater Pearl and 14K Yellow Gold is chic and stylish. 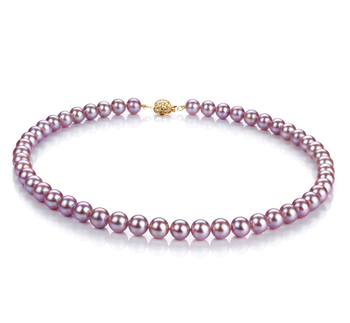 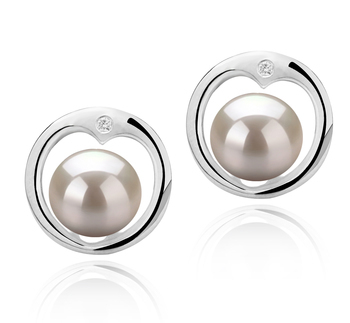 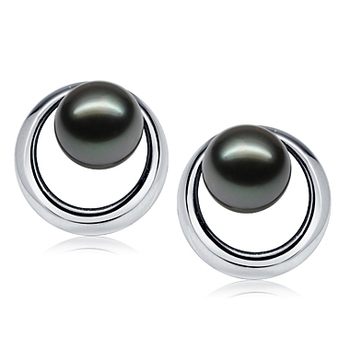 The freshwater pearls are a rare commodity to find in the perfect grading arena of these pink pearls. 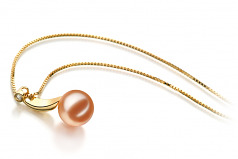 The (AAAA) flawless shape of this pink pearl completes the final design of the Sora Pink. 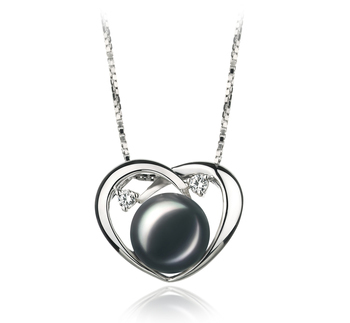 Its perfect mirror like (AAAA) luster engages the surface creating the finest high quality Freshwater Pearl appearance for this Pendant. 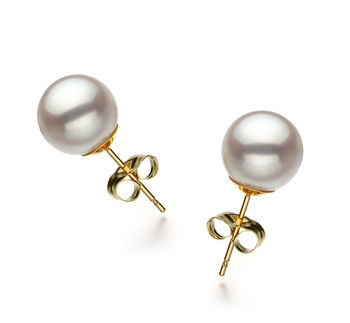 Held up by its 14K Yellow Gold point, the .02 ct diamond eye seems to have seized an accent from the sparkling luster of the pearl and held it securely. The Sora Pink 9-10mm AAAA Quality Freshwater 14K Yellow Gold Pearl Pendant is a daring and fashionable display for an equally worthy and rare Pink Freshwater Pearl. 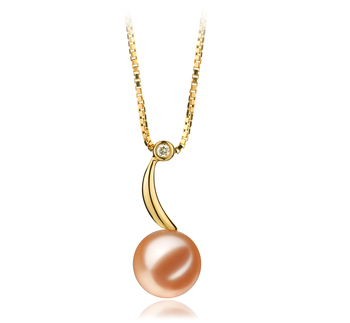 The Black Label Collection delivers this high quality rare and valuable Pink Freshwater Pearl 14K Yellow Gold Pendant to another loyal and satisfied customer.